I just survived my first gigantic homeschool convention. It was an absolute blast but my feet still ache and I may or may not have taken a few things to help with muscle soreness. My favorite part of the convention? 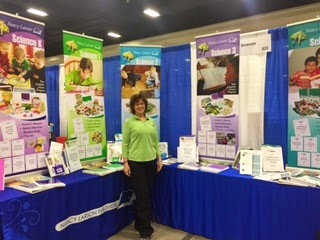 Meeting hundreds of homeschool families and having the chance to chat. 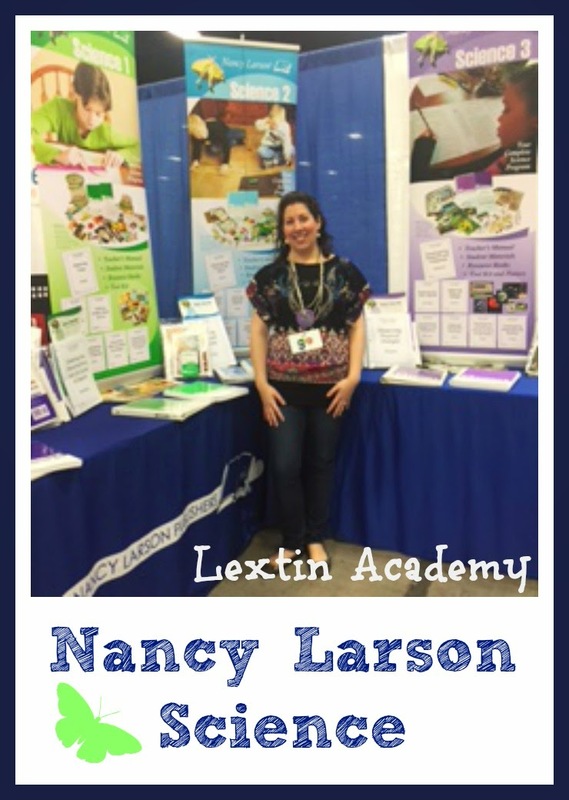 I was able to share about our favorite science program – Nancy Larson Science. Here’s a brief recap of my favorite aspects of the program. One giant box – Everything you need for your entire year of science is right inside your box. All supplies are included (except for things like highlighters, colored pencils, and paper). I appreciate that I do not have to hunt down strange supplies to complete our experiments and observations. Scripted lessons – Never thought I’d love reading an entire conversation straight out of a book, but I do. I don’t have to stumble over words when explaining gravity, simple machines, chemical formulas, or molecules to my kids. The script guides me through every lesson. No planning or prep time – Because everything is in your box and the lesson plans are fully scripted for you, I don’t do any planning or prep before the lessons. I grab my guide and open to the next lesson and we are ready to begin. No textbooks – Instead of a giant text, you have a scripted manual. Instead of textbooks, the student has individual booklets – one per unit. The child becomes the illustrator as he draws the illustrations, fills out the charts, and labels all the diagrams. I appreciate that my kids can take ownership of their science booklets in this way. Interactive and engaging – Every lesson has an activity or observation. The booklets are interactive because the child reads them with you and then fills out the pictures and diagrams. The program is scripted and is filled with questions to ask the child. This turns the lesson into a conversation about science rather than a lecture. This program is an open-and-go easy to use program that is homeschool mom friendly. Because I use this program, science gets done on a regular basis and my kids enjoy our science time. If I chatted with you at the booth, feel free to email me at lextinacademy@gmail.com. If you’re ready to purchase your Nancy Larson program I would appreciate if you used my affiliate link posted here. I’ve had a chance to rest and recover from my long weekend but I’m looking forward to my next convention!